On 5 May 2010, PLAY Brand Management Limited applied to the Polish Patent Office for the right of protection for a single color trade mark Z-369967 defined in PANTONE scale as 2627C, for goods and services in Classes 9, 35 and 38. The Polish Patent Office refused to grant the right of protection and decided that the applied sign was not inherently distinctive in relation to communications services for mobile phones, and the applicant has not demonstrated sufficiently that the mark has acquired distinctivenes through use. PLAY submitted request for re-examination of the matter. The PPO ruled that the sign in question may serve as a trade mark, since it was applied graphically and identified using the code recognized at international level, i.e. Pantone number. Such a figurative representation of a single color is in line with the requirements set for a designation that in order to fulfill its function as a trade mark must be clear, precise, complete in itself, easily accessible, understandable, fixed and objective. However, while analyzing the distinctiveness of the applied trade mark in concreto, the PPO stressed that, according to settled case-law, the essential function of a trade mark is to guarantee to the consumer or end user the identity of the origin of the designated goods or designated services, by allwowing him to distinguish the goods or services from the goods or services of different origin. The goal of distinctiveness of a trade mark is to provide a given sign with such features that in the minds of market players they will clearly indicate that the product (or service) marked in this way is derived from the specific entity. Therefore, the attention sould be paid to the customary use of the trade mark, as a designation of origin in the specific sectors, as well as the perception of relevant consumers. In the opinion of the PPO when it comes to color per se, the existence of distinctiveness (without any prior use) is possible only in exceptional circumstances, in particular, when the number of goods or services for which the trade mark was applied for is very limited and the relevant market is very specific. Those conditions must be interpreted in the light of the public interest, which is based on the fact that the availability of colors cannot be unduly limited for all other entrepreneurs. The PPO noted that the modern technology allows to generate an almost infinite number of shades of each color, but in assessing whether they differ from each other, one should take into the perception of a relevant group, and therefore the average consumer. The number of colors that people are able to actually identify, is small, therefore the number of colors available as potential trade marks that would allow for distinguishing the goods had to be regarded as very limited. Moreover, the market for mobile services is not narrow and specific. Such market does not only cover telecom operators, but it is a collection of current and potential buyers of a product or service, respectively, its size depends on the number of buyers that express interest in all products, with an adequate income and availability of products for purchase. Market size is a characteristic that describes the quantitative state of the market at a given time in number of consumers (users) of a given type of goods or services. The PPO stated that the scale of Pantone, as the RAL or CMYK scales, is a very precise tool used to describe the color, but little practical from the standpoint of conditions of a normal trade and market turnover. The description of the Pantone color will not be a sufficient indication for the average consumer. The PPO also decided that less than four years (the company started its operation in 2007, and market survey evidence was conducted in 2011) could not be considered as a sufficient period to establish that the sign was in long-term use. In the context of proving that the sign has acquired secondary meaning, such time was certainly too short. PLAY Brand Management filed a complaint against this decision. The Voivodeship Administrative Court in its judgment of 9 October 2013 case file VI SA/Wa 1378/13 dismissed it. The Court ruled that the PPO properly examined all the evidence material and properly justified its decision. The VAC as the PPO relied on the opinion of legal commentators and the so-called “color depletion/exhaustion” theory. According to this concept, the number of colors that the human eye is able to recognize is small and limited. Therefore, none of the colors should be subject to anyone’s “ownership”, or generally speaking – the exclusive right, and these colors should be keept in the public domain, and therefore freely available for all entrepreneurs. The theory of shades’ confusion support the first one. The second provides that human perception is so limited that the average consumer is not able to distinguish between a large number of shades of different colors. Applying both theories to present commercial realities it should be borne in mind that the majority of trade marks exists in an environment where decisions on the purchase of goods or use of services are made hastily, without much hesitation on the part of consumers. It is difficult to expect that consumers will conduct an analysis and comparison of similar shades of color, and on this basis, they will be associating the product with its origin. The Court also agreed that the acquired distinctiveness has not been proven. Surveys were conducted in a group consisting of 1000 respondents who use mobile phones and thus who should have knowledge about the market and mobile network operators. However, these people differently responded to the two questions: i) with which mobile operators’ brands do they associate the color, and ii) with which brands do they associate the color. For the first question, 59% of respondents indicated PLAY as the operator, and only 11% respondents of the same group associated the color with PLAY while answering the second question, although the results should be concurrent, because the second question has not been addressed to random group of people, but a group of people who use mobile services. PLAY Brand Management filed a cassation complaint. The Supreme Administrative Court in its judgment of 23 March 2015 II GSK 371/14 dismissed it. Categories: acquired distinctiveness | Art. 129(1)(ii) IPL | Art. 129(2)(i) IPL | Art. 130 IPL | non-traditional trade marks | Polish Act on Industrial Property Law | Polish courts | Polish institutions | Polish law | Polish Patent Office | Polish Supreme Administrative Court | single colour | trade mark examination | trade mark refusal | trademark law | Voivodeship Administrative Court. Bakoma sp. z o.o. from Warsaw requested the Polish Patent Office to invalidate in part in Classes 29 and 30 the right of protection for the 3D trade mark IR-700040 owned by Compagnie Gervais Danone. Some time ago, Danone sued Bakoma for the trade mark infringement, arguing that Bakoma has used similar product packaging for its line of Frutica yoghurts. Bakoma claimed that the sign in question lacks distinctiveness and it was applied in bad faith, because Danone did not intent to use this trade mark in form it was applied for. Bakoma pointed that Danone also owned registered design for a similar packaging, and the registration of trade mark was intended to extend the protection provided for a design, and it could indicate that Danone wanted to bypass the law. Danone argued that Bakoma does not distinguish between the concept of functionality and the technical features that may give the impression that the functionality is a prerequisite to prohibit registration. Patent attorneys representing Danone cited judgments of the CJUE and noted that only forms which are simply based on technical solution are not subject to the trade mark registration, and the sign in question clearly lacks of such solutions. Danone claimed that the package has not technical features because the container does not provide a transfer of filling (from a smaller to a larger compartment), it does not prevent from shedding, and it’s not a compact package. In addition, Danone argued that Bakoma failed to prove that at the time of the trade application on the Polish market, there were similar packaging that would prevent registration of an industrial design (formerly called ornamental designs), which means that the design was new. Danone emphasized that the mark at issue can not be used on to market alone, without any label. The French company also provided evidence that the trade mark is recognized by the consumers. At the time of trade mark application, the sign was present on the market for almost 14 years and it has acquired the secondary meaning. Its use was confirmed in advertisements and price lists. Bakoma argued that the technical solution solves a problem. In this case, as a result, how to mix one component with another, and how to serve it mixed – a solution to this problem is to move the component. These functional features are technical. Such example was even displayed in the commercial movie during the hearing. Bakoma stated that the 3D sign was not distinctive at the date of application, nor it has acquired the secondary meaning, because a 3D form can be a trademark when the average recipient will associate it with the origin of the goods. 3D form can attract the attention of consumers in terms of aesthetics, but it does not mean that it functions as a trade mark. There is no doubt that goods may be aesthetic, may encourage the purchase, but do not work as a sign. In addition, the sign could not acquire secondary meaning because it is used as a technical function, utility function. Bakoma argued that Danone seeks for the right of protection for a sign that was not intended to be used in the applied form. Even, while deciding trademark infringement case, the Appeallate Court ruled that Danone uses in the course of trade a combined mark. Bakoma argued that through the registration of the trade mark Danone wanted to obtain a monopoly on technical solutions with the use of the institution of the right of protection for a trade mark. It is a clear example of bad faith. On 19 November 2012, the Adjudicative Board of the Polish Patent Office held its hearing, case no. Sp. 500/10. Danone’s representative has requested the PPO to postpone the hearing to allow him to get acquaint with the pleading filed by Bakoma. The PPO acceded, and set a two-week deadline. The PPO obliged both parties to complete all claims in a period of two months, under pain of losing the chance to raise them at a later date. Bakoma also requested the Polish Patent Office to decide on the lapse of the protection for the 3D trade mark IR-700040, however the PPO did not schedule the hearing in this case, no. Sp. 513/08. Categories: 3D trade mark | acquired distinctiveness | appearance of the whole or a part of a product | Art. 4 TMA | Art. 7(1) TMA | Art. 7(2) TMA | Directive 89/104/EEC | EU law | industrial designs | non-traditional trade marks | Polish Act on Trade marks | Polish institutions | Polish Patent Office | trade mark invalidation | trade mark lapse | trademark law. Julius Sämann Ltd., the owner of the figurative trade mark WUNDERBAUM IR-0579396, filed a notice of opposition to a final decision of the Polish Patent Office on the grant of a right of protection for the word-figurative trade mark Forest Fresh R-183901 owned by S&S Smiczek & Smiczek Hanna Smiczek. Both trade marks were registered for similar goods in Class 5, mainly air freshening products. Julius Sämann Ltd. claimed that because of the similarity of goods there is a risk of misleading the public, in particular by evoking associations with the earlier mark. The company provided also evidence on reputation of its trade mark. The Polish Patent Office invalidated the right of protection. The PPO decided that three required conditions had to be cumulatively met in this case: i) the reputation of the earlier mark, ii) the similarity or identity of signs, iii) if it without due cause would bring unfair advantage to the owner of the later trade mark or be detrimental to the distinctive character or the repute of the earlier trademark. The PPO noted that the case law distinguishes between absolute and relative methods of assessing reputation. The first one considers knowledge of the mark and takes into account primarily the percentage of a certain degree of its recognition on the market. The relative method emphasizes different criteria, including the degree of the recognition of the trade mark, the market share in terms of quantity and value of goods sold, the extent and duration of product advertisements marked by the sign, territorial and temporal scope of its use, licenses granted, quality of the goods, the value of the sign in the evaluation of independent financial institutions, the size of expenditures incurred in connection with the promotion of trade, as well as relationship price of substitute goods. The evidence material can be public opinion polls, prizes and awards, press releases, ratings, reports, invoices and other commercial documents, as well as various promotional materials. The Polish Patent Office has adopted a mixed methodology in this case, and ruled that both the evidence on reputation, that was claimed and established before the date of application of the contested trade mark, as well as documents from the later period, strengthen the recognition of reputation of the trade mark WUNDERBAUM IR-0579396. The PPO decided that both trade marks are similar in visual, aural and conceptual aspects. The PPO noted that the market presence and existence of a trade mark which consumers associate with reputation of another sign, harm the interest of the owner. S&S Smiczek & Smiczek Hanna Smiczek filed a complaint against this decision. The Voivodeship Administrative Court in Warsaw in its judgment of 2 June 2011 case file VI SA/Wa 334/11 dismissed it. The Court agreed with the the assessment of the PPO, and repeated that an entrepreneur, who for the goods of the same type, chooses a sign that is similar to a trade mark with earlier priority, given that there is an infinite number of signs to be selected, acts at its own risk. S&S Smiczek & Smiczek Hanna Smiczek brought a cassation comaplaint. The Supreme Administrative Court in its judgment of 10 July 2012 case file II GSK 2324/11 repealed the contested judgment and returned it to the VAC for further reconsideration. The Court held that the important drawback of the contested judgment and the decision of the PPO was the assumption on the similarity of the opposed trade marks that was based on the mere fact of the use in their visual aspect, a form of tree, without trying to examine whether the different presentation, including the type and shape of the tree, used in these signs, allowed for the adoption of the view that there exists the similarity of the signs. As a result, the Polish Patent Office, followed by the VAC, accepted the monopoly (exclusiveness) of the company to use very idea of ​​the tree element in its trade mark. The SAC recommended that the VAC should also take a stand on the consequences of the fact that S&S Smiczek & Smiczek Hanna Smiczek used its trade mark for a considerable period of time from 2002. After almost 5 years, Julius Sämann Ltd. initiated a civil action against the S&A. The civil proceedings with regard to trade mark infringement ended before the Supreme Court in its judgment of 14 October 2009 case file V CSK 102/09. The Supreme Court dismissing a cassation appeal filed by Julius Sämann Ltd., based on the argument that long-standing and undisturbed use of the sign in question, in connection with the principle venire contra factum proprium, according to which, if the party continued at a specific practice, it can not rely on its illegality, if other entity accepted such practice in good faith and it could suffer injury as a result of the changes. The application of this rule would come into play especially in a situation, if after the reexamination of evidence, the similarity of opposed signs has been established, and there was not any proof of bad faith on S&S side. The argument that there was bad faith requires evidence and proof, because good faith is presumed. Whether, in connection with long-term use, the S&S trade mark has acquired distinctiveness under average conditions of the market, a feature which is required for any sign to be registered, could speak in favor of the principle of venire contra factum proprium. In addition, marking the goods produced by S&S with its own trade mark, which are the goods of the same kind as products of Julius Sämann Ltd., undoubtedly positively affected the overall demand for such goods on the marker. Therefore, the invalidation of S&S trade mark in situation of its use in good faith, could easily lead to the acquisition of the customers of S&S by Julius Sämann Ltd., without incurring the costs which were attended by S&S in the promotion of the sign, The Court found it difficult to accept. The SAC also held that it should be borne in mind that the right of protection for a trade mark, as every object in the closed list (numerus clasus) of property rights, is admittedly an absolute personal right effective against all (erga omnes), however, this right is not subject to absolute protection. In the light of the general principles for the exercise of property rights as defined in the Polish Civil Code, the boundaries of this right are defined in the Acts and the rules of social coexistence. The Polish Industrial Property Law also refers to these rules. For these reasons, the circumstances giving rise to the allegation of the infringement of the principle of venire contra factum proprium, are one of the limits to the exercise by the owner of its legitimate socio-economic use of the right of protection that derives from the registration of the trade mark. Thus, the invalidation proceedings started against the trade mark Forest Fresh R-183901, in violation of the above mentioned principle, may be considered as the abuse of the right of protection for a trade mark by the proprietor of such a right, that is not entitled to the protection. Categories: 3D trade mark | acquired distinctiveness | Art. 132(2)(ii) IPL | Art. 132(2)(iii) IPL | Art. 140 CC | bad faith | distinctive character | exhaustion of trade mark rights | famous trade marks | likelihood of confusion | non-traditional trade marks | Polish Act on Industrial Property Law | Polish Civil Code | Polish law | Polish Patent Office | Polish Supreme Administrative Court | Polish Supreme Court | product packaging | reputed trade marks | similarity of goods | similarity of signs | trade mark infringement | trade mark invalidation | trademark law | Voivodeship Administrative Court. On 23 March 2008, the Polish Patent Office granted the right of protection for the word-figurative 3D trade mark PŁ 1764 R-205770, that was applied for by the Polish company Fabryka Wódek POLMOS ŁAŃCUT S.A, for goods in Class 33 such as vodka. The trade mark represents a glass bottle with a blade of grass put inside, and the crest on the bottle. POLMOS BIAŁYSTOK S.A., the company that was the owner of the word-figurative trade mark POLMOS ŻUBRÓWKA BISON BRAND VODKA R-62081, registered with the earlier priority of 30 August 1985, for goods in Class 33, filed a notice of opposition to the decision of the Patent Office on the grant of a right of protection. POLMOS BIAŁYSTOK claimed similarity of signs and identicality of goods. The Company argued that a blade of grass identifies its product’s image, and the long-term presence on the market caused that the trade mark POLMOS ŻUBRÓWKA BISON BRAND VODKA R-62081 created the belief of the recipients of this type of goods, that the alcoholic product with a grass motif comes from POLMOS BIAŁYSTOK. The Company also claimed that its trade mark is the reputed one, and provided rich evidence material including certificates of quality and market position of vodka sold in bottles with a blade of grass, market research results and reports confirming a strong position of trade marks owned by POLMOS BIAŁYSTOK, as well as articles published in specialized trade magazines. POLMOS BIAŁYSTOK claimed that POLMOS ŁAŃCUT acted in bad faith because its strategy and intention was to create and to file for the right of protection for a product that would look like the brand of “Żubrówka” vodka, by giving it a full set of protected characteristics of the trade mark POLMOS ŻUBRÓWKA BISON BRAND VODKA R-62081, and this situation happened long before the filing date of the questioned sign. The Adjudicative Board of the Polish Patent Office dismissed the request and decided that the comparision of POLMOS ŻUBRÓWKA BISON BRAND VODKA and PŁ 1764 trade marks gave no similarities. The blade of grass inside a bottle may give potential customers certain associations that it is a vodka based on wisent grass. The PPO relied on the provisions of § 3 of the Minister of Agriculture and Rural Development of 25 January 2007 on the definition of requirements for certain spirit drinks with geographical indications relating to the Polish territory, which specifies requirements for a spirit drink “Herbal Vodka from the North Podlasie Lowland aromatised with an extract of visent grass. The PPO has decided that the vodka producers could use the trade marks containing a blade of grass to indicate the type of vodka. The PPO ruled that these signs are examples of commonly used vodka bottles that were sold in the 80s and 90s of the last century. Such bottles are also present in considerable numbers in the Polish market. Thus, these signs per se do not possess distinctive characteristics. The Adjudicative Board noted that legal commentators emphasizes that the packaging of a product is now deemed as a “silent salesman”, and its appearance affects decisions of customers. A distinctive and visually appealing packaging may cause the client to choose the particular product. The PPO cited K. Jasińska, Naśladownictwo opakowań produktów markowych w świetle prawa własności intelektualnej (in English: Imitation of packagings of branded products in the light of intellectual property rights), Warszawa 2010. The PPO found these arguments relevant to the package created by POLMOS ŁAŃCUT which, in PPO’s opinion differs from other packages available on the market. POLMOS BIAŁYSTOK filed a complaint against this decision. The Voivodeship Administrative Court in its judgment of 24 August 2011 case file VI SA/Wa 1242/11 repealed the contested decision and ruled it unenforceable. The VAC decided that the analysis of similarity between the signs including its reputation, in this case, was not exhaustive. The PPO did not consider the dominant elements that draw the attention of the buyer. Although PPO stated that the compared trade marks are 3D signs, but the examination of these elements was reduced to comparison of packages only, i.e. bottles. Although, the PPO stated that as a principle, the visual aspect of a 3D sign, is the shape of package and its content, but these two issues (the shape and contents) were separated in the analysis carried out in this case. 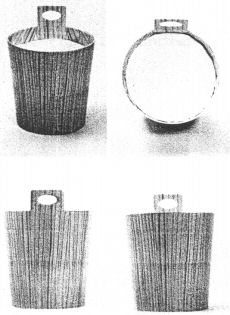 The Court found that the long time existence of the characteristic element of 3D signs owned by Polmos Bialystok that were intended for designating vodka products and alcoholic beverages – a blade of grass placed in a simple, transparent bottle, as a whole can easily sink into the minds of customers and build the strength that distinguishes this kind of packagings. The Court pointed out that POLMOS BIAŁYSTOK provided evidence that the original żubrówka can be recognized by a wisent grass blade in the bottle. This would mean that for consumers, contrary to the assessment of the PPO, this 3D element constitutes the dominant part of the trade mark, and it can also influence the perception of the trade mark reputation and the need for protection against dilution. The VAC noted that this case involved more than 20-year presence in the market of a bottle with a grass inside, that was associated with POLMOS BIAŁYSTOK. However, in situation, when the package is transparent, placing a characteristic element inside of the packaging, determines distinctiveness of the whole sign, e.g. two similar bottles. The distinctive 3D form – a blade of grass in the bottle increases the message of each of the word trade marks, brings more originality to signs that are protected for over 20 years. There was no doubt that the floating grass in the bottle is the original message that distinguishes the goods of POLMOS BIAŁYSTOK, and is attributed to the origin of goods produced by this particular company. It was impossible to overlook the fact that consumers are seeing a bottle with a characteristic blade of grass, that is associated by them not only with visent vodka, but they also have a guarantee that this is the original product whose reputation was proved by complex evidence. This means that customers choose a product, guided by the attractiveness of its form, because they “see” in this product a trade mark that originates from POLMOS BIAŁYSTOK, whose quality is known to them. The fact is that all signs have a distinctive element. The Polish Patent Office erred by not attaching any importance to it, despite the fact that POLMOS BIAŁYSTOK was the first company that introduced to market a product with such a distinctive element: a long blade of visent grass. See also “Trade mark law, case VI SA/Wa 2038/09“. Categories: 3D trade mark | acquired distinctiveness | Art. 107 §3 APC | Art. 131(2)(i) IPL | Art. 132(2)(ii) IPL | Art. 132(2)(iii) IPL | Art. 145 PBAC | Art. 7 APC | Art. 8 APC | Art. 80 APC | famous trade marks | non-traditional trade marks | Polish Act on Industrial Property Law | Polish Act on Proceedings Before Administrative Courts | Polish Administrative Proceedings Code | Polish courts | Polish institutions | Polish Patent Office | product packaging | reputed trade marks | secondary meaning | similarity of signs | trade mark invalidation | trademark law | Voivodeship Administrative Court. This is another part of the saga of trade marks consisting of numerals. On March 2003, Agencja Wydawnicza TECHNOPOL Spółka z o.o. applied for the word trade mark 100 PANORAMICZNYCH Z-261876 for goods in Class 16 such as newspapers, charade magazines, booklets, brochures, flyers, calendars, posters, exercise books. The Polish Patent Office decided that it cannot grant rights of protection for signs which cannot constitute a trade mark, or are devoid of sufficient distinctive character. The PPO reminded that the following are considered as being devoid of sufficient distinctive character (i) signs which are not capable of distinguishing, in trade, the goods for which they have been applied, (ii) signs which consist exclusively or mainly of elements which may serve, in trade, to designate the kind, origin, quality, quantity, value, intended purpose, manufacturing process, composition, function or usefulness of the goods, (iii) signs which have become customary in the current language and are used in fair and established business practices. TECHNOPOL filed a complaint against this decision but it was dismissed by the Voivodeship Administrative Court in its judgment of 24 April 2010 case file VI SA/Wa 410/10. TECHNOPOL filed a cassation complaint. The Supreme Administrative Court in its judgment of 8 November 2011 case file II GSK 1033/10 repealed the contested judgment and returned it to the VAC for further reconsideration. The SAC agreed with allegations of violation of administrative proceedings that was based on erroneous findings that the disputed trade mark could not acquire secondary meaning. The Court noted that when the PPO is assessing whether or not a sign has a sufficient distinctive character, any circumstances accompanying its use in marking the goods in trade should be taken into consideration. Grant of a right of protection under previously mentioned rules may not be denied in particular where prior to the date of filing of a trademark application with the PPO, the trademark concerned has acquired, in consequence of its use, a distinctive character in the conditions of the regular trade. This indicates the possibility of acquiring secondary meaning by descriptive signs. In principle, secondary meaning can only be acquired by signs that are devoid of any distinctiveness, including descriptive or generic designations. Thus, the mere fact that the sign is purely informational does not preclude the acquisition of secondary meaning. Descriptive signs refer to the qualities or characteristics that may affect goods from various manufacturers. Categories: absolute grounds for refusal | acquired distinctiveness | Art. 107 §3 APC | Art. 129(1)(ii) IPL | Art. 130 IPL | Art. 7 APC | Art. 77 APC | Art. 8 APC | Art. 80 APC | descriptive character | distinctive character | generic sign | personal rights or interests | Polish Act on Industrial Property Law | Polish Administrative Proceedings Code | Polish courts | Polish law | Polish Patent Office | Polish Supreme Administrative Court | press title | secondary meaning | trade mark examination | trade mark refusal | trademark law | Voivodeship Administrative Court. The Polish Patent Office refused to grant the right of protection for the word-figurative trade mark LAW24.pl applied for the Polish law firm Komarnicka Korpalski Kancelaria Prawna sp.j for services in Class 35 such as advising on business and business management consultancy, in Class 36 such as financial consultancy and financial and accounting activity, and in Class 42 such as legal services. The PPO pointed out that the sign was applied for broadly defined legal services, and it cannot be registered because it lacks sufficient distinctive character, therefore it cannot be the subject of exclusive rights as others would have been deprived of the possibility to use it. The PPO noted that the applied trade mark is a company name, but there are different regulations regarding company names and the names of individuals. The PPO ruled that the right to the company name is not absolute, effective in relation to all (erga omnes). The PPO stated that the case of each applied trade mark is always considered individually on its specific conditions, so the argument that there is plenty of registered trade marks that include the word “law”, and the PPO should also grant the right of protection in this case, was rejected The PPO did not agree with the argument that recent visits to the website could prove that the trade mark in question has acquired secondary meaning. According to the PPO, the applicant has not submitted any evidence documents to confirm it. Komarnicka Korpalski Kancelaria Prawna filed a complaint against this decision. The Voivodeship Administrative Court in Warsaw in its judgment of 31 August 2011 case file VI SA/Wa 1291/11 dismissed it. The Court agreed with the PPO and held that Internet address identifies a legal or natural person, but this identification is not equivalent, that the services provided by such person are marked with the same deisgnation. Categories: absolute grounds for refusal | acquired distinctiveness | Art. 129(1)(ii) IPL | Art. 129(2)(i) IPL | Art. 129(2)(ii) IPL | Art. 151 PBAC | descriptive character | distinctive character | domain names | e-law issues | Polish Act on Industrial Property Law | Polish Act on Proceedings Before Administrative Courts | Polish TLDs | trade mark refusal | trademark law | Voivodeship Administrative Court. Hochland Reich Summer & Co. KG owns a three-dimensional trade mark IR-736770 in Poland, and Hochland AG is the owner of the right in registration of an industrial design Rp-5337. The 3D trade mark is not used in the clear registered form, but is marketed as a product package of ALMETTE cheese, with additional verbal and figurative elements. Both Hochland AG and Hochland Reich, Summer & Co. KG, together with Hochland Polska sued the Polish dairy cooperatives in Piątnica, because it has used the packaging for cheese, on which a graphic of a wooden pail that was similar to Hochland’s trade mark and design, was placed. The District Court in Białystok in its judgment of 13 October 2009 case file VII GC 49/07 dismissed the suit and refused to recognize the trade mark as a reputed one. However, the Court agreed with the opinion issued by the expert witness that a clean pail, without any identifiers, stands out positively in comparison to other packagings, and by its distinctive shape is strongly associated with the Almette brand. The District Court agreed with Piątnica that this trade mark was not used in trade in its registered form, and that Hochland did not prove that the use of cup-like pail brings Piątnica unfair advantage or is detrimental to the distinctive character of Hochland’s trade mark, which is a prerequisite to the protection of reputed/renown trade marks. The Appellate Court in Białystok in its judgment of 26 February 2010 upheld these findings except the costs and the issue of trade mark use. Hochland filed a cassation complaint. The Supreme Court in its judgdment of 10 February 2011 case IV CSK 393/10 found that the Appellate Court decided that the expert’s opinion had no probative value because of the unrepresentative range of research on which it was based, and as a result, the Court found that Hochland failed to prove that its trade mark is a distinctive sign, with reputation. The Appellate Court spoke on the inadequacies of the expert opinion only in the justification of the judgment, and not during the proceedings, which precluded Hochland from filing proper evidence. The Supreme Court ruled that renowned trade marks enjoy special protection – wider than the other trade marks, i.e., even if there is less similarity between trade marks or the goods. In the case of reputed signs, the risk of confusion or the likelihood of confusion is not required. The association with the earlier renowned sign is a sufficient condition. The Court noted that the Polish Industrial Property Law does not provide any definition of reputable trade mark, but only points to the specific conditions of protection. The Supreme Court emphasized that the definitions provided in the legal commentaries, as well as in the case law of the Court of Justice of the EU and Polish courts, differ in this respect. The Court noted that a reputable trade mark is recognized by a significant part of relevant public. The Polish legal commentators argue that such a sign must be known at least by 25 percent of relevant public, and if the percentage exceeded 50 percent, the reputation is always proved. The Supreme Court also noted that the protection of a reputable trade mark does not require the owner to prove that the use of a similar trade mark has brought its user unfair advantage or was detrimental to the distinctive character or the reputation of the earlier mark. A mere possibility of obtaining unfair advantage by the infringer or the very possibility of harmful effects to the distinctive character or the repute of the earlier trade mark, is a sufficient condition. Therefore, these conditions have normative and hypothetical nature. 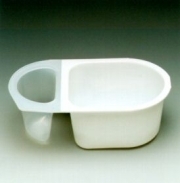 The Supreme Court held that the Appellate Court erred in the examination of the opinion of another expert witness, who showed that the use of the image of a wooden pail on the packaging of cheese, in the assessment of 69% of consumers may affect their decision on the purchase of goods, and therefore it could potentially influence the purchase of the goods produced by the defendant in its packagings. This circumstance was important for assessing whether the use by the defendant of Hochland’s trade mark could bring Piątnica unfair advantage at the expense of the owner of the trade mark, who first used the sign and incurred substantial costs for its promotions within a few years. The Appeallate Court in Białystok in its judgment of 7 July 2011 case file I ACa 305/11 was bound by the decision issued by the Supreme Court. The Court pointed out that according to the opinion of Grzegorz Urbanek, who was appointed as an expert witness, the wooden pail is associated to the Almette brand in the perception of most respondents. Both the opinion and attached results showed that even a same wooden pail without and with identifiers has the same effect, i.e. the half of the respondents, because of the packaging, was willing to buy the Almette cheese, and not other cheese of the same type but in the same packagings. Therefore, the Appellate Court prohibited Piątnica to use in the course of trade of a figurative sign representing a wooden pail with a handle, on the packaging of its cheese products. Piatnica still uses the packaging for its cheese, which is similar to a wooden pail. The dairy cooperatives replaced the image from the packaging with the milk-churn with pouring milk. Categories: 3D trade mark | acquired distinctiveness | Art. 120(1) IPL | Art. 296(2)(iii) IPL | famous trade marks | genuine use | likelihood of confusion | non-traditional trade marks | non-use | Polish Act on Industrial Property Law | Polish Supreme Court | product packaging | reputed trade marks | trade mark dilution | trade mark infringement | trade mark use | trademark law. Mr Roman Oraczewski Oficyna Wydawnicza PRESS-MEDIA requested the Polish Patent Office to invalidate the right of protection for the trade mark “Sto Panoramicznych” R-102530 owned by TECHNOPOL Agencja Wydawnicza Spółka z o. o. and registered for goods in Class 16 such as magazines. The PPO invalidated this trade mark and ruled that this designation is descriptive and informative, because it is carrying explicit message on the number and type of crosswords included in each copy of the magazine. TECHNOPOL filed a complaint against this decision, but it was dismissed by the Voivodeship Administrative Court in its judgment of 16 February 2010 case file VI SA/Wa 1862/09. TECHNOPOL decided to file a cassation complaint. The Comapny argued inter alia that its trade mark has acquired secondary meaning because TECHNOPOL also used similar signs, for instance “100 panoramicznych” R-102531, which is a modification of the trade mark “Sto Panoramicznych”. The Supreme Administrative Court in its judgment of 25 May 2011 case file II GSK 615/10 dismissed the complaint and ruled that the use of a sign in order to prove its secondary meaning, can not be documented by the use of other similar designation that is also a separate, registered trade mark. Categories: acquired distinctiveness | Art. 130 IPL | Art. 20 Constitution | Art. 22 Constitution | Art. 7(1) TMA | legal interest | Polish Act on Industrial Property Law | Polish Act on Trade marks | Polish Constitution | Polish Supreme Administrative Court | secondary meaning | trade mark invalidation | trade mark use | trademark law. Przedsiębiorstwo Przemysłu Spirytusowego POLMOS w Warszawie applied for the right of protection for the word trade mark „spirytus rektyfikowany” (in English: rectified spirit) Z-204843. The Polish Patent Office refused to grant the right of protection. The PPOo ruled that this designation is purely descriptive. It informs about the type of product and how it is produced, and while examined as a whole, this sign does not have any sufficient distinctive character in relation to goods for which it was filed. Therefore, it will not allow for the identification of the goods available on the market in terms of their origin. The PPO decided also that this sign is devoid of any characteristic features that may engrave into memory of the recipient and lead to the association with the entrepreneur, from which they originate. The recipient buying the goods bearing the sign in question will be informed about the characteristics of the product, not its origin. POLMOS claimed that „spirytus rektyfikowany” has acquired secondary meaning. 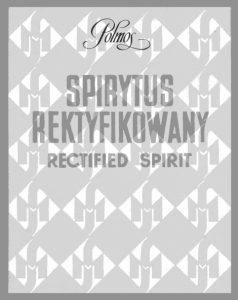 The PPO did not agree with the argument that a number of word-figurative trade marks containing the term “rectified spirit” that were registered for POLMOS supports the position that this trade mark has acquired secondary meaning, because all these trade marks were registered by the PPO because of its graphics and not the distinctive character of the disputed sign. The PPO concluded that the information on the secondary meaning posted on Wikipedia website can not be considered fully reliable evidence and Wikipedia cannot be treated as the professional source of information. The PPO noted that the fact that POLMOS was able to register the word mark “rectified spirit” in the United States has no impact on the examination of trademark application Z-204843, because the Polish system is completely autonomous. The PPO noted that even POLMOS is advertising its main product as a word-figurative trade mark, where both words are placed on the green-yellow label. POLMOS filed a complaint against this decision but it was dismissed by the Voivodeship Administrative Court in its judgment of 14 December 2009 case file VI SA/Wa 1859/09. POLMOS filed a cassation complaint. The Supreme Administrative Court in its judgment of 18 May 2011 case file II GSK 553/10 dismissed the complaint. The Court cited the Dictionary of Polish language, published by PWN SA, the Internet edition, in which the word spirit is defined as a generic name of a specific type of alcoholic product – a high percentage water solution of ethyl alcohol. The word “rectified” is as an adjective derived from the noun “rectification” and it means the separation of liquid mixtures by repeated evaporation and condensation. The concept of rectification is commonly associated with a technological process, even if the recipient does not know the specific method. In conjunction with the first of the words in the trade mark in question it is associated with a way to produce a particular product. The two words – “rectified spirit” – contain only information about the type of product and how to produce it, and as such do not have sufficient distinctive character. The SAC shared in this regard the view expressed by the Supreme Administrative Court in its judgment of 18 June 2008 case file II GSK 185/08. See also “Trade mark law, case II GSK 185/08“. 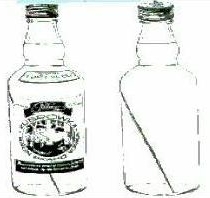 The Court ruled that there was no reason to assign a long use and the reputation only to the “rectified spirit” designation as separated from other elements of a word-figurative trade mark that was corresponding to the label on the bottle. The SAC noted that a trade mark is an indivisible whole. The use of a word-figurative trade mark does not mean that association between the word element and a particular entrepreneur arise in the minds of the consumer. Categories: acquired distinctiveness | Art. 184 PBAC | Art. 315 IPL | Art. 7(1) TMA | Art. 7(2) TMA | descriptive character | distinctive character | generic sign | Polish Act on Industrial Property Law | Polish Act on Proceedings Before Administrative Courts | Polish Act on Trade marks | Polish courts | Polish law | Polish Supreme Administrative Court | trade mark examination | trade mark refusal | trademark law | Voivodeship Administrative Court. The Polish Patent Office invalidated the right of protection for the word-figurative trade mark 1001 R-157046 registered for goods in Class 16 such as posters, albums, almanacs, stationery, blocks, drawing blocks, brochures, magazines, charade magazines, prints, forms, newspapers, calendars, calendars with loose pages, filing cards, cards, card-notices, postcards, comics, books, crossword puzzles, stationery, stickers, notepads, covers, bookmarks, drawing kits, notebooks, and owned by Agencja Wydawnicza TECHNOPOL Spółka z o.o. The PPO ruled that this trade mark lacks distinctiveness. TECHNOPOL filed a complaint against this decision but it was dismissed by the Voivodeship Administrative Court in its judgment of 18 September 2009 case file VI SA/Wa 1164/09. Technopol filed a cassation complaint. The Supreme Administrative Court in its judgment of 10 February 2011 case file II GSK 67/10 dismissed it and ruled that a trade mark which lacks primary distinctiveness will acquire distinctiveness or secondary meaning through advertising, if it is used for so long that it will be associated not with the original descriptive content, but the source of its origin – a specific goods produced by a particular manufacturer. The practice of different publishers who used different numbers and numerals in tiles of magazines did not allow for 1001 to acquire secondary meaning. Categories: acquired distinctiveness | Art. 129(2)(i) IPL | Art. 129(2)(ii) IPL | Art. 174 PBAC | Art. 7(1) TMA | Art. 7(2) TMA | descriptive character | distinctive character | Polish Act on Industrial Property Law | Polish Act on Proceedings Before Administrative Courts | Polish Act on Trade marks | Polish Supreme Administrative Court | secondary meaning | trade mark invalidation | trademark law. AFLOFARM Fabryka Leków sp. z o.o. from Ksawerów sued two Polish companies for trade mark infringement and unfair competition delict/tort with regard to selling similar pharmaceutical products. This case went through all instances. The Supreme Court in its judgement of 22 January 2010 case file V CSK 192/09 published in the electronic database LEX, under the no 564857, dismissed the complaint filed by Hasco Lek S.A. and Hasco Lek Dystrybucja. 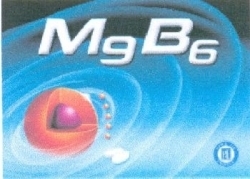 The Court held that the specificity of the market’s segment in which the magnesium preparations are sold, and which boils down to the fact that the same or very similar products gains the advantage of customers, through its specific name and advertising of such product and its packaging, requires greater care when introducing a new product of a very similar name and packaging, because it cannot mislead consumers, and it cannot take away consumers from another producer. Categories: acquired distinctiveness | Art. 10 CUC | Art. 129(2)(ii) IPL | Art. 129(2)(iii) IPL | Art. 165 IPL | Art. 22 Constitution | Art. 5 CC | likelihood of confusion | Polish law | Polish Supreme Court | secondary meaning. The Polish Patent Office (PPO) refused to grant the right of protection for the trade mark “100 panoramicznych” Z-241510 (in English: 100 panoramic) applied for goods in class 16 such as brochures, books, journals, magazines, titles of magazines. The PPO held that this trade mark is not sufficiently distinctive and that the sign is purely descriptive and therefore can not be covered by the right of protection. Agencja Wydawnicza TECHNOPOL Spółka z o.o. being the applicant in this case, filed a complaint. The Voivodeship Administrative Court in Warsaw in its judgment of 11 May 2010 case file VI SA/Wa 369/10 held that secondary meaning is the result of a genuine and consistent use of a trade mark by the entrepreneur, in order to indicate in this way, the origin of the goods. The assessment of whether a sign has a secondary meaning (acquired distinctiveness) must be decided by examining all the facts such as time of use, its market share, the ways and intensity of use, and all the data showing that a given group of customers will evidently assign the sign and the goods to a particular trader. The VAC annulled the PPO’s decision and ruled as unenforceable. Categories: acquired distinctiveness | Art. 129(1)(ii) IPL | Art. 129(2)(ii) IPL | Art. 145 IPL | Polish Act on Industrial Property Law | secondary meaning | trademark law | Voivodeship Administrative Court. The Polish Patent Office has refused to recognize the right of protection for a trademark PREMIUM DE-LUXE NEMIROFF IR-802093 registered for Nemiroff Intellectual Property Establishment because of its similarity to a series of earlier trade marks owned by the Pokish Company Wyborowa S.A. This series included word trade mark PREMIUM R-71602, PREMIUM VODKA R-82601, GOLD PREMIUM R-108603 and many others. Nemiroff filed a request for reconsideration claiming that the word “Premium” with respect to alcohol is often used to describe more accurately its class and quality and in this connection it has no distinctive character. Consumers are choosing alcohol based on its quality and the name of the manufacturer. The Patent Office upheld the contested decision. The PPO explained that the most exposed part of the questioned trade trade is the word PREMIUM, because of its location, size and bright color in contrast to the soothing white-blue-gray color of the rest of the sign.The PPO stated that the word “Premium” is easy to remember, but it has rather poor degree of distinctive character, which are often used to denote exceptional quality. The figurative elements of the mark in such a situation may not be sufficient to exclude the likelihood of misledading the purchasers as to the origin of the goods, in particular, it will not help to exclude the associations between characters. Although the PPO agreed with the position of the parties as to the universality of the word “Premium” in trade, however, the PPO also noted that in the strict sense it may be a distinctive sign in Poland, and it is the most exposed element in questioned trade mark. The broad and long-term use of it in the form of trade marks used by Wyborowa S.A. allowed it to acquire a secondary meaning. Given the above, the Patent Office found that in normal economic turnover PREMIUM DE-LUXE NEMIROFF may mislead the public as to the origin of the goods, as well as infringe the rights of protection of the owner of the opposed trade marks. Nemiroff filed a complaint. The Voivodeship Administrative Court (VAC) in Warsaw in its judgment of 27 November 2008 case file VI SA/Wa 1583/08 sided with PPO’s opinion. The VAC held that the Office properly decided that the questioned trade mark is similar to a series of earlier registered trade marks, all including the distinctive word element „Premium”, which created the risk of the public being misled. Nemiroff filed a cassation complaint. The Supreme Administrative Court in its judgment of 23 March 2010 case file II GSK 496/09 repealed the contested judgment and returned it to the VAC for further reconsideration. The SAC held that the VAC erred in assessing the similarity between the opposing trade marks by focusing only on one element – the word “Premium”, without trying to explain its distinctive character as a designation of exceptional quality of a product. Then it would be difficult to talk about the fact that the earlier registered trade marks with the word “Premium” come from one source. The owner of a sign that has weak distinctive character must often tolerate the coexistence of the similar trade marks. See also “Trade mark law, case VI SA/Wa 1133/10“. Categories: acquired distinctiveness | Art. 132(2)(ii) IPL | distinctive character | Polish Act on Industrial Property Law | Polish Supreme Administrative Court | trademark law | Voivodeship Administrative Court. On 14 March 2005, the Polish company PMB S.A. from Białystok applied for “dębowa mocno wędzona” (oak heavily smoked) trade mark Z-292377, for goods in class 29 such as meats, smoked products and offal products. The Polish Patent Office denied to grant a right of protection and PMB filed a complaint to the administrative court. The Voivodeship Administrative Court in Warsaw in a judgment of 14 April 2010, case file VI SA/Wa 274/10, rejected the complaint. According to the Court, in this case, the PPO correctly held that PMB has not shown that the sign has acquired distinctiveness. As it was clear from case files, the only evidence provided by PMB was statements of sales of products marked with the questioned sign as of January 2005. The issue of acquisition of secondary meaning (acquired distinctiveness) is taken into account together with all the circumstances of the presence of a sign on the market, including such as: market share, the intensity, geographical extent, duration of the use of a trade mark, investments in advertising, the percentage of a relevant group of customers who recognize the sign as an indication of origin from a particular entrepreneur, etc. Such evidences must come prior to the date of filing of a trademark application with the Polish Patent Office. The Court commented on the Community case law in which the evidence of secondary meaning is also allowed from the period after the date of trade mark application, if they show that acquired distinctiveness already existed at that date. This judgment is not yet final. A cassation complaint may be filed to the Supreme Administrative Court. Categories: acquired distinctiveness | Art. 129(1)(ii) IPL | Art. 129(2)(ii) IPL | Art. 130 IPL | case law | distinctive character | secondary meaning | Voivodeship Administrative Court. On 28 February 2005, the Polish Patent Office issued a positive decision and registered the word-figurative trade mark METAL-CHEM R-162449 in Class 6 for goods such as steel, in Class 7 for goods such as machinery and equipment for special treatment, technological lines for waste treatment as well as the teams line and accessories, machinery and equipment for the production of cobblestones, bricks and masonry, welders for pipes, in class 11 for electric heaters and in Class 40 for production of special machines, mechanical and thermal processing, casting of non-ferrous metal. It was applied for on 24 September 2001 by the Polish company Zaklad Urzadzen Metalowych “METAL-CHEM” Sp. j. A. Pochec, L. Szymanski, M. Aplas from Rudki. Another Polish company, Instytut Inzynierii Materialów Polimerowych i Barwników (the Institute for Engineering of Polymer Materials and Dies), from Torun filed a request to invalidate the right of protection. The request was based on the Polish Act of 30 June 2000 on Industrial Property Law – IPL – (in Polish: ustawa Prawo własności przemysłowej), published in Journal of Laws (Dziennik Ustaw) of 2001 No 49, item 508, consolidated text of 13 June 2003, Journal of Laws (Dziennik Ustaw) No 119, item 1117, with subsequent amendments. (ii) are devoid of sufficient distinctive character. (iii) is identical or similar to a renowned trade mark registered or applied for registration with an earlier priority (provided that the latter is subsequently registered) on behalf of another party for any kind of goods, if it without due cause would bring unfair advantage to the applicant or be detrimental to the distinctive character or the repute of the earlier trade mark. The above provision shall apply to well-known trade marks accordingly. The company from Toruń presented its trade mark METALCHEM R-51184 registered with an earlier priority on 12 April 1973. This trade mark was applied for on 15 May 1972, for goods in Class 6, 7, 9, 20 such as worm pumps, pumps, vertical and horizontal rotational pumps for aggressive liquids, valves, clamps, agitators, mixers, pressure-type apparatus made of stainless steel and carbon steel, containers for transporting granular substances, containers and tanks of plastics. The PPO has invalidated METAL-CHEM trade mark in its decision of 29 January 2009 case act signature Sp. 424/06. The Adjudicative Board of the PPO has taken into account only arguments based on article 132(2)(ii) of the IPL. The Board acknowledged that METALCHEM trade mark has distinctive character and is successfully used at the market. As regards arguments based on article 132(2)(i), the Board held that both signs are identical, the separate spelling is not a significant argument and the goods are similar and complementary. The reputation has not been proven by the company from Toruń so the motion based on article 132(2)(iii) of the IPL was dismissed. The decision is not final. Categories: absolute grounds for refusal | acquired distinctiveness | Art. 131(1)(i) IPL | Art. 132(2)(ii) IPL | Art. 132(2)(iii) IPL | Polish Act on Industrial Property Law | Polish institutions | Polish law | Polish Patent Office | trade mark invalidation | trademark law. In the decision of 4 February 2005, the Polish Patent Office granted the right of protection for the word trade mark Glazide in class 5 for goods such as anti-diabetic pharmaceutical preparations, for Farmaceutyczna Spółdzielnia Prac Galena from Wrocław. Les Laboratoires Servier from France filed a request for invalidation of the right of protection based on articles 129(1)(ii) and 129(2)(ii) of the Polish Act of 30 June 2000 on Industrial Property Law – IPL – (in Polish: ustawa Prawo własności przemysłowej) of 30 June 2000, published in Journal of Laws (Dziennik Ustaw) of 2001 No 49, item 508, consolidated text of 13 June 2003, Journal of Laws (Dziennik Ustaw) No 119, item 1117, with subsequent amendments. (ii) signs which consist exclusively or mainly of elements which may serve, in trade, to designate the kind, origin, quality, quantity, value, intended purpose, manufacturing process, composition, function or usefulness of the goods. The French company claimed that the mark Glazide could not distinguish the goods for which it was registered. The mark itself presents information about the treatment of diabetes. The active ingredient (AI) in these kinds of medicine is the substance called gliclazidium (gliclazide). However, the PPO dismissed the request and the French company filed a complaint against this decision. The Voivodeship Administrative Court in Warsaw in its judgment of 31 October 2008 case file VI SA/Wa 1000/08 dismissed it. That court held that the disputed mark may lead its recipients (doctors, pharmacists) to make some association with the AI, but it does not mean that it lacks the distinctive character. The sign differs from the AI in phonetic and visual aspects. According to the Court, the Glazide trade mark is fanciful and does not describe a type of drug. The VAC ruled that article 129(2)(ii) clearly states that only signs that are made exclusively of the elements that describe the nature or origin of goods lack distinctive character. The judgment is not yet final. The cassation complaint was filed before the Supreme Administrative Court. See “Trade mark law, case II GSK 214/09“. Categories: absolute grounds for refusal | acquired distinctiveness | Art. 129(1)(ii) IPL | Art. 129(2)(ii) IPL | distinctive character | generic sign | Polish Act on Industrial Property Law | Polish courts | Polish law | trade mark invalidation | trademark law | Voivodeship Administrative Court. The Appellate Court in Wrocław in its judgment of 30 December 2008 case file I ACa 1047 published in LEX under the no. 519268, held that descriptive signs which present information about the goods, its characteristics, not its origin from the designated entrepreneur, lacks distinctive character. The descriptive elements may be one of the components of the trade mark, such as fitting of a particular word or symbol indicating a characteristic of the goods. Then the sign is assessed as a whole and not only through the prism of one component – a descriptive word, but also other accompanying elements. To acquire the distinctive character, all the symbols (signs) used in the course of trade as a descriptive trade marks, must also include a word which would develop in the collective consciousness of the consumers of the product a clear association between the sign and a product, distinguishing it as originating from a given entrepreneur. Categories: acquired distinctiveness | distinctive character | Polish Appeallate Court. The Polish newspaper Rzeczpospolita reports recent cases (act signatures Sp. 428/07 and Sp. 442 /07) brought before the Polish Patent Office by German company Klöckner Moeller GmbH, which opposed the registration of the PowerControl trade mark by the Lestar Company from Opacz. Both parties are involved into a dispute as to whether the PowerControl mark is a sign of fanciful character and whether it has sufficient ability to distinguish the goods of one undertaking from the another. The Polish company from Opacz applied for a trade mark registration for PowerControl in 2001, in class 9 (cables and electrical wires, electrical controls of light, signals and switching and in class 35 (sale of various goods in a shop with wiring articles). The PPO has issued a favourable decision and registered this trade mark in 2006, R-174685. The patent attorney who is representing the company from Germany declared that one can not claim such simple words (power and control) as a trade mark, it gives the owner a monopoly on the use. The sign creates a cluster of words whose meaning is known in Poland. There are thus distinctive capabilities which are required for a brand. And it must identify the goods of an entrepreneur. But the Polish company argued that a sign which is composed of foreign words can be considered fanciful in Poland. Therefore PowerControl is able to distinguish goods, especially technical equipment. The Polish Patent Office has not yet resolved the dispute. Categories: acquired distinctiveness | distinctive character | likelihood of confusion | Polish Patent Office | secondary meaning | trade mark invalidation. Przedsiebiorstwo Przemyslu Spirytusowego Polmos in Warszawa objected to the trade mark application for SPIRYTUS REKTYFIKOWANY PL 1784, R-134685, filed by POLMOS LANCUT SA. Polmos in Warszawa claimed priority of an earlier trade mark – SPIRYTUS REKTYFIKOWANY, R-63628. 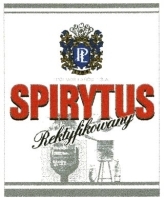 SPIRYTUS REKTYFIKOWANY was bought by Polmos in Warsaw during an auction held by the Polish Ministry of the Treasury. All Polmos companies agreed in 1999 that they would not use trade marks owned by others in the Polmos “group”. The Polish Patent Office (the PPO) decided that the contested mark had no distinctive character and it only indicated a specific kind of alcohol and method of production. Przedsiebiorstwo Przemyslu Spirytusowego Polmos in Warszawa lodged a complaint before the District Administrative Court in Warsaw seeking to annul the PPO’s decision. However, the Court sided with the PPO’s findings and rejected the complaint. The Court held that both signs were word-figurative marks and should be perceived and examined as whole. Polmos in Warszawa filed a cassation complaint before the Supreme Administrative Court in Warsaw. It supported its position with an argument that SPIRYTUS REKTYFIKOWANY acquired secondary meaning and had a good reputation bacause of the use during the course of trade. The Supreme Administrative Court in its judgment of 18 June 2008, case file II GSK 185/08 did not agree with such statements and rejected the complaint. The Court found that Polmos in Warszawa was seeking exclusive rights in the spirytus rektyfikowany sign, which was a purely informative term to be found in Polish dictionaries and official norms. This case is the leading example of problems with trade mark portfolios of companies that were privatized in Poland after 1990. Polmos was state-owned monopoly, controlling the Polish market of spirits and other alcohols from middle ’20s until 1990, when it was divided and privatized into several independent companies. Categories: absolute grounds for refusal | acquired distinctiveness | Art. 129(2)(ii) IPL | Art. 131(1)(iii) IPL | Art. 131(3) IPL | Art. 29 TMA | Art. 9(1)(i) TMA | distinctive character | likelihood of confusion | Polish Supreme Administrative Court | secondary meaning | similarity of signs. The Supreme Administrative Court in its judgment of 28 November 2007, case file II GSK 236/07 held that the distinctive character of a trade mark may orginally arise from the nature of a sign or may later originate from the use of such trade mark on the market (acquired distinctiveness). A sign acquires the secondary meaning, if it lacked the distinctive character earlier, but during the use it became the source of information about the origin of a product. Categories: acquired distinctiveness | Art. 7(2) TMA | case law | distinctive character | Polish Act on Industrial Property Law | Polish courts | Polish law | Polish Supreme Administrative Court | secondary meaning | trademark law. On 11 July 2000, the Polish Patent Office has granted the right of protection to Zakłady Farmaceutyczne Polfa-Łódź Spółka Akcyjna for word trade mark “calcium c” R-122184 for goods in Class 5 such as pharmaceutical products. On 25 May 2001, the PPO received a requested for the invalidation of “Calcium C” R-122184 trade mark. The applicant was arguing that the questioned sign does not have a distinctive character. According to the applicant, the term “calcium” and “c” represent information about the properties and composition of the product bearing the mark. The Voivodeship Administrative Court in its judgment of 20 February 2006 case file VI SA/Wa 1730/05 upheld the decision of the PPO. The VAC agreed that “Calcium C” does not have distinctive character. The Court stated that the sign is devoid of any fanciful elements, purely informational – indicating that the product is a calcium with vitamin C. The VAC ruled that in the interest of manufacturers of the pharmaceutical products is the exclusion of such signs from the registration, otherwise one individual entrepreneur could monopolize the use of these signs and that would lead to serious and unjustified restrictions on the activities of other entrepreneurs. Polfa-Łódź filed a cassation complaint. The Supreme Administrative Court in its judgment of 20 December 2006 case file II GSK 210/06 found the appeal well-founded. The SAC held that there was a breach of procedrual provisions because the VAC did not explain and did not consider the impact on the outcome of the case of studies of public opinion, indicating the market share of the disputed product labeled with “calcium c” trade mark and the size of the expenditures on the promotion and marketing. The VAC restricted itself to general statements. It was assumed that for obtaining a secondary meaning the products labeled with “calcium c” must be marketed and available to buyers (the actual use of the trade mark). There was no doubt that this condition for the product bearing “Calcium C” trade mark has been met. However, the SAC noted that is has to be remembered that a trade mark acquires distinctive character as a result of its use only when a sign is able to identify the goods as originating from a particular entrepreneur. Undoubtedly for the SAC the facts in this case were not examined in detail and exhaustive.The Court ruled that the administrative proceedings that concerns the invalidation of the right of protection does not exclude the duty of the administrative body (the PPO) to take all necessary steps to clarify the facts of a case and to resolve it and to comprehensively collect and examine all evidential material, although the burden of proof rests on the one who has the legal interest. In the legal literature and case-law, it is considered that the typical descriptive signs are in fact components of the goods, even if the indication is only a basic (essential) component, for example, “sand” for the cosmetic agent, which is an essential component. The Court cited W. Włodarczyk, The distinctive ability of a trade mark, Lublin 2001, pp. 199-200. The informational character of a trade mark is not changed when someone is using a sign from foreign language, even in case of terms that come from a dead language (e.g. Latin), when it concerns the professional, or a part of the general Polish vocabulary. The Court concluded that in any case, it would not have been justified to say that the fact that a sign contains information about the composition of a product, a limine precludes its recognition as a fanciful and bars the opportunity to register it as a trade mark, especially since it is possible to acquire secondary meaning. Categories: acquired distinctiveness | Art. 174 PBAC | Art. 7 APC | Art. 7(1) TMA | Art. 7(2) TMA | Art. 77 APC | descriptive character | distinctive character | medicinal product | Polish Act on Industrial Property Law | Polish Act on Proceedings Before Administrative Courts | Polish Administrative Proceedings Code | Polish Supreme Administrative Court | secondary meaning | Voivodeship Administrative Court.